Inside the Used Clothing Mill and Raghouse | Midtex B.V. In our recent guide to picking we offered advice for locating and gaining access to the ever-clandestine raghouse. But unless you’ve stepped inside one they’re likely still somewhat of a mystery. So we thought about sending an undercover agent infiltrate and record the goings on at a facility….but instead we just emailed Rene Wolters who operates a mill in the Netherlands. He happily provided a virtual tour without us having to force him to talk by subjecting him to hours of loud heavy metal. Besides, he grew up listening to and playing Metal so Zero Dark Thirty style tactics would have only given him pleasure. Rene and his business partner Johan Hendrikse founded Midtex B.V. in 1994. The majority of their product is sourced from across Europe, yet they send wares across the globe. I first started at a local rag dealer when I was 16 because there was a big labor crisis in the construction industry (the field I completed my education in.) I learned the skill of grading and sorting mainly fabrics at first, all types of wool, cotton and synthetic fibers. A year later my current business partner Johan was hired. After six years we were both asked to set up a sorting mill for somebody who needed experienced people to grade goods for export. A couple of years later we decided to start our own business and here we are 20 years later. A lot grayer but not much wiser. Tell us about the day-to-day operations? We have a group of workers in front of a conveyer belt doing the pre-sorting which grades items into roughly 25 groups. Approximately 10 of these items are then graded on a table and pressed into either giant or small bales. Next to Africa grades like quality 1 and quality 2 tropical mix – the rest are baled up for recycling purposes. A number of articles are used for wiper/rag production and the remaining is used for either fiber recovery, automotive industry or recycled yarn production. The second stage of the sorting is performed by specialized workers and this group grades from 15 pre-sorted categories up to 300 more refined ones. For items like men’s tees there are 15 different other grades and qualities which can be sold in higher quantities. Our specialty is to do the what we call “micro-sorting” and come up with the strangest different styles and small quantities. T-shirts for example can be sorted by: band, funny, tourist, sports, designer brands, comics tees, etc. For every single garment category we try to make special grades. This gives everybody a chance to buy exactly what they want for fair price, and enables us to make the highest yield possible. Do you allow pickers? Any advice for pickers? We do have a select group of pickers coming in every week, they are really only allowed to go thru the leathers – branded jeans – branded sportswear and the “hippie” mix. The reason for this sounds stupid but it is out of tradition. One of our pickers is from the Amsterdam Waterloo hippie market has been a picker since the early 1970’s – so who are we to take away his hobby? My advice is for pickers is too always act if you are the biggest in the trade and always ask for more than can be expected. Name dropping also helps to get into any mill. 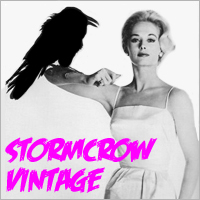 What vintage clothing item you’ve found is most memorable? One of the rarest pieces of vintage clothing I found is probably the East West Leather jacket of which you can read all about in the forum. What other fun stuff have you found? After more than 30 years in this trade we’ve found strange things like weapons, ammunition, hostage letters, rare photos of the Beatles, WWII stuff, gold, silver, etc, etc. But one story that really stands out in my mind from when were sorting original clothing from Norway. One of our staff found an envelope with pictures from the city of Alesund in Norway. The pictures were like tourist postcards with early 1900s dating. Since our transporter was from the same town I told him about our find. He almost fell from his chair because the city burned down completely in 1904. About 900 wooden houses were completely destroyed in the fire and except for some paintings there was no documentation of how the town looked previous to the fire. All the pictures detailed downtown and the surrounding streets of Alesund and were of extremely high value to the local museum and community. A couple of days later our guy at the transport company had his picture taken with the mayor and was front page news. From what we heard the photos are now displayed at the local museum. Is there one particular item you wish you kept? We have one famous slogan in our company: we are not a museum!!! Do your wife and kids ask you to save certain items? None, except for diamonds, which I have never found, by the way. Photos of the Midtex facility in the Netherlands. Click to enlarge, click ‘i’ for info. What were you into growing up in the Netherlands? Being one of six children it was fun because I had two older brothers who where already in a band when I was very young. We more or less grew up with listening to and making music. I was force fed all the famous British and US 70’s rock bands like Deep Purple, Zeppelin, Uriah Heep, Status Quo, Kansas, Boston, Styx, Ted Nugent, Van Halen etc. etc. Black Sabbath, being number two with my all time favorite band Ritchie Blackmore’s Rainbow in his 70s period. The 1980s came and I switched over to the New Wave of British Metal, Maiden, Judas Priest, Saxon etc. Then suddenly a new group appeared in 1983. I bought a copy of the Kerrang rock magazine and there was a review of this new band from LA. Without even listening to what they played I went to a record import shop and ordered a copy of Kill ‘Em All. I just liked the band name and the record title! The rest is history – but I’m proud to say I was one of the first in Holland to own a Metallica record. Tell us about your band? Since my older brothers were already in a band in the 70s we were influenced big time by what they where playing. My brother Bert Wolters was one of the most talented guitarist in the Netherlands in the 80s. He came in second in a national guitarist competition back then. But was not commercial enough to make a living out of guitar playing. He co-invented the word ‘solo” in solo-guitarist which says enough for his ability to play with other musicians who tell him what and especially what not to play. His real problem was that he was too damn good! Anyway, our brother told us one day that I was supposed to go play the bass guitar and my one year older brother Dirk was supposed to play the drums. He gave us one year to fool around, take lessons and play with other people. When he felt we were ready for the real deal we were “allowed” to play with “his royal highness” himself. Being a 15 year old kid this was a unique opportunity and we thought we were going to conquer the world! By the time I was 16 we were already touring the Netherlands with our bands Helter Skelter and Wallstreet and opening for bands like the Golden Earring. The problem was that I was still in high school and arriving home 6 on Monday mornings was not good for school results. So my mom and dad came up with certain rules all teenagers hate. After playing with three brothers in one band for almost 10 years, in the end, the only satisfaction we had was annoying each other during gigs and getting into fist fights with each other before, during and after gigs. So in 1992 we decided to say farewell and we went our separate ways. From 1995 I played with my brother Dirk in a cover band called “Doll.” Right now we have a tribute band “Sabbatical” playing only old Sabbath covers from the original 1981 lineup with my oldest son and sometimes with my youngest. The only gigs we now play are in our local pup getting paid in beer. Photos of vintage Rene in action. Click to enlarge, click ‘i’ for info. What band tees did you wear growing up? One of my most special tees was a Status Quo tee from the time I was only 10 (1976). There was a competition in a Mars bar wrapper where you could win a t-shirt with the name of your favorite band on it. So you had to come up with a slogan, and I won (probably everyone did.) I ordered my tee but to my horror I received the band name in these flashy disco ball letter style. I hated it, but secretly loved it at the same time. After that I just wore all the famous shirts from Motorhead, Rainbow, Maiden….except for any hair metal bands! To inquire about inventory contact Rene via email.